This event has concluded. Please visit here for the post event report. The rise of disruptive technologies has fundamentally changed how businesses compete. CIOs and technology leaders find themselves in the hot-seat, they need to break away from traditions and status quos, and embrace new norms to help the business evolve. The external environment that influences how the technology leaders’ role is changing, forces them to challenge long-standing status quos and rethink strategies in managing an IT organisation of the future. 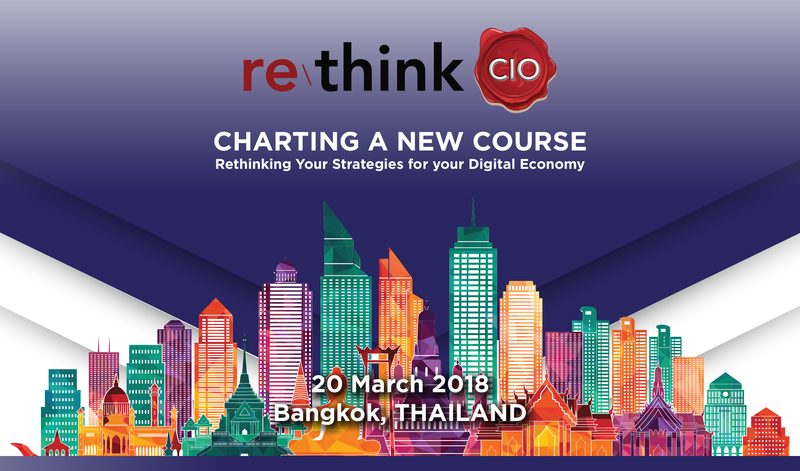 The reThink CIO Forum series is CIO Academy Asia’s initiative to bring together some of the best minds to critically review, or rethink, the roles of a CIOs and technology leaders in an organisation. At this forum, technology leaders will put their thinking caps and re-evaluate the value they bring to their organisation from a business perspective, coupled with the sharing of best practices and ideas amongst fellow professionals. As technical director in the office of the CTO, Gregor draws on broad technical expertise in distributed systems and cloud computing as well as a diverse IT background that includes professional services, internet computing, and enterprise IT. By translating the “big picture” view across organization, software delivery, and infrastructure into a sustainable architecture strategy, he ensures that enterprises achieve the maximum benefit of a cloud-based operations model. Before re-joining Google, Gregor held a position as Chief Architect at Allianz SE, one of world’s largest insurance companies. Reporting to the IT division’s CEO, he drove Allianz’ digital transformation by evolving corporate IT from mere cost center to an innovation driver that unlocks new business opportunities. After establishing an architecture function and governance model that accelerated software delivery while reducing complexity and operational expenses, he led the architectural authority of a global data center consolidation and initiated and delivered a comprehensive on-premise cloud platform. During his seven years as Staff Software Engineer at Google, Gregor was instrumental in refactoring the AdWords Front-end system, developing comprehensive onboarding training, and optimizing Mobile Ads delivery in Mountain View and Tokyo. A project he initiated and led in Tokyo tracked mobile ads to physical in-store conversions using NFC technology. Before Google, Gregor held positions as practice lead and senior manager at ThoughtWorks, Deloitte, and American Management Systems where he developed solutions for customers ranging from public sector to energy and financial services. Gregor is widely known as co-author of the seminal book “Enterprise Integration Patterns”, which provides design guidance for asynchronous messaging solutions and forms the base vocabulary for most modern ESB (Enterprise Service Bus) products. 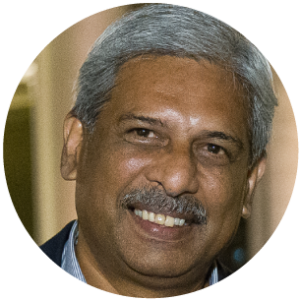 He summarized his experience transforming enterprises in the book “37 Things One Architect Knows About IT Transformation” and is an active member of the IEEE Software advisory board. 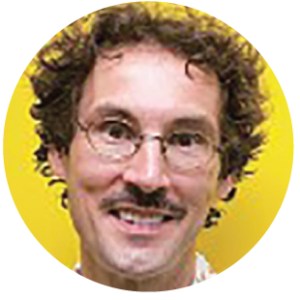 His articles have been featured in “Best Software Writing” by Joel Spolsky and “97 Things Every Software Architect Should Know”. As frequent speaker at conferences around the globe, he is known for his ability to convey complex topics in an engaging and approachable form without compromising technical detail. He holds a Master’s Degree in Computer Science and a Master’s Degree in Engineering Management, both from Stanford University. During weekends he likes to enjoy the outdoors while having his legs strapped to a mountain bike or snowboard. Supparat holds 2 positions at True Internet Data Center as General Manager and the Chief Technology & Operations Officer. Accountabilities include overall company’s strategy, sales, marketing, business development, product management, data center operations and technology operations, help desk and service management for True IDC. Prior to True IDC, Supparat was the Global Head of Technology Delivery at Thomson Reuters and accountable for running an international team across the United States, Canada, the United Kingdom, Hong Kong, Japan and Thailand. 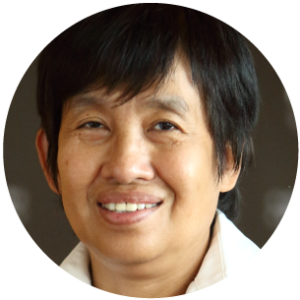 Dr. Nantawan Wongkachonkitti is currently Office of The Student Loans Fund in Thailand’s CIO and Deputy Manager. 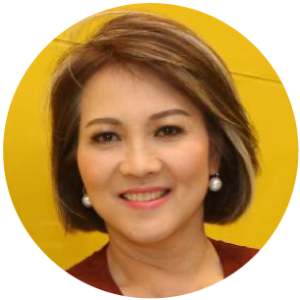 In this position, she oversees an information technology (IT) portfolio of over 200 billion baht and over 5 million customers. 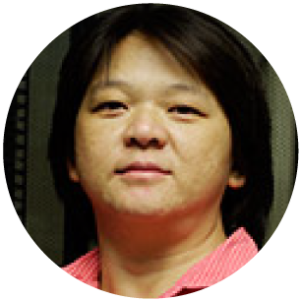 She provides executive leadership on IT Operation, Policy and information governance. 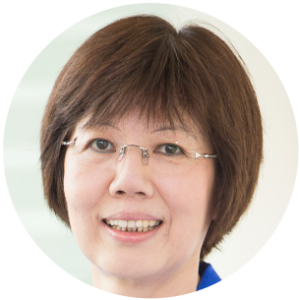 She also was selected in 2012 to serve as Cloud Security Alliance, Thailand Chapter’s Secretary and in 2016 to serve as ASEAN Chief Information Officer Association’s Secretary. 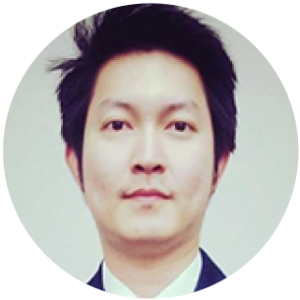 Prior to Deputy Manager and CIO, Nantawan has served as Vice-President of Innovation Department and Network/Operations Department of Electronic Government Agency of Thailand for 7 years. She served as the day-to-day lead for coordinating and managing the various functions regarding IT Innovation, Government Cloud, Government Open Data, Government Big Data Analytics, Information management, information assurance, Government Data Center, and Government Information Network. Nantawan has held several leadership roles in the Information Technology and Communications of U.S. Office of Foreign Disaster Assistance (OFDA) for more than 15 years with the experience in the planning, development, delivery and monitoring of technical solutions that address the needs of customers in support of their missions around the world. Chananyarak Phetcharat (K.Tai), a CEO of DHL Express Thailand, a leading global logistics company. She has more than 25 years of leadership experience with an amazing track record on financial result and people platform. It’s very rare to have a woman CEO leading global multi-billion dollars corporation from key industries: IT Information Technology, Consumer & Distribution, Telecom and Logistics. She is an international Thai leader, delivering a remarkable result. She has built a long-term sustainable people’s platform for 21st century leaders. Under her leadership, DHL has won Best Employer awards for leaders and Employee Engagement not on Thailand but also the Asean and a global stage. 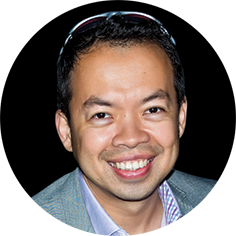 Ashish Oliver is on three-year deputation from Toyota Australia responsible for developing architecture and innovation capabilities at the Asia Pacific Headquarters of Toyota in Bangkok. Dr. Rom taught graduate and undergraduate classes in computer science in the U.S. during 1980’s and in Thailand during 1990’s. He served on advisory panels on IT and computing for government and private sector organizations. Since 1990 he was on the computer science and IT curriculum committees for many universities. In December 1999, he was named “IT Person of the Year” by the Nation newspaper for his work in software industry promotion as the founding director of Software Park Thailand. 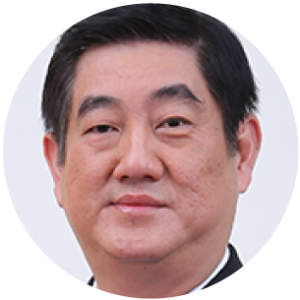 Since then, his work includes formation of regional science parks for the National Science and Technology Development Agency, founding member of the local Software Process Improvement Network, founding chairman of the Thai chapter of International Association of Software Architects, Advisor to the Association of Thai ICT Industry, President of Thailand Info Security Assn. In 2007, he was selected to be the first Director of the Office of Knowledge Management and Development under the Office of the Prime Minister. For 7 months from June 2010, he advised the Minister of MICT on National Broadband Policy, Cyber Security, and formations of new E-government and Electronic Transaction agencies. In 2011, he was selected as a candidate to be in the National Broadcasting and Telecommunications Commission and was a member on NBTC’s Broadcasting Master Plan drafting committee. In 2012, he was chosen to be a member in the Payment Systems Committee of the Bank of Thailand. 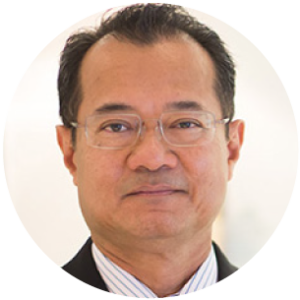 In 2013, he was elected the Vice President of Thailand IT Architects Association. In 2014, he was selected as a Board member of the Broadcasting and Telecommunications Research and Development Fund for the Public Interest. In 2017 he was selected to be a member of the Electronic Transaction Committee of the DEMS Ministry. Based in Singapore, Matthew Johnston is Commvault’s Area Vice President for ASEAN and Korea. 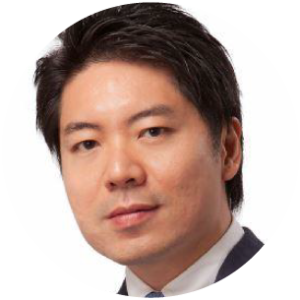 He leads a team of passionate and highly-experienced professionals that help companies turn their data into a powerful strategic asset. He is also responsible for the organization’s overall business strategy and growth in the region. In this position, Matthew’s key focus is to expand Commvault’s market share and nurture business development in new markets. Through his efforts to increase Commvault’s customer base and build executive engagement across the region, Matthew has broadened its partner ecosystem and driven sustainability for the business. Matthew has held several leadership roles with a proven track record in managing enterprise software organisations across Asia Pacific and Japan. Previously with Dell, Matthew is armed with extensive experience in solving customers’ most difficult problems and engaging enterprises at all levels of the business. He also held leadership and product management positions in Quest Software (acquired by Dell), and practiced manager and solution lead roles at Dimension Data in the past. During his free time, Matthew also coaches a junior rugby team in Singapore on the weekends. He holds a Bachelor of Built Environment, Industrial Design from Queensland University of Technology. 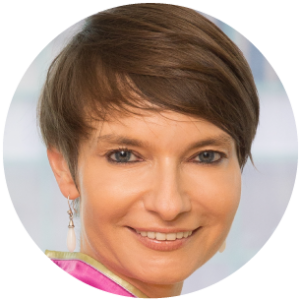 Sonia Wedrychowicz-Horbatowska joined DBS Bank in February 2015 as Managing Director of the Digital Bank division. She brings over 20 years consumer and commercial banking experience. 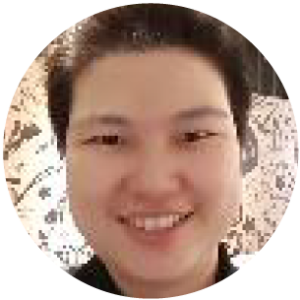 In September 2016, she was promoted to Singapore CBG Technology Head, responsible for Consumer Bank Singapore Technology delivery and API Strategy. Wedrychowicz is the former Country Head of Consumer Bank at Standard Chartered in Malaysia. Prior to that, she spent 18 years in Citibank in various roles across Consumer bank & GTS. In the last 6 years, she was Deputy CEO of Citibank in Poland. Sam Loke is Managing Director for Pan Asia Logistics Thailand, with over 22 years of experiences in Contract Logistics and Cross-border freight operations across Asia Pacific. Relocated to Thailand over 11 years ago, Sam held the role of Country Manager for YCH Thailand, and successfully droved the expansion into new industry verticals and turnaround its profitability. 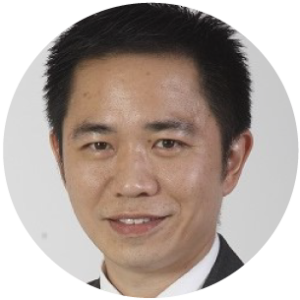 He joined DHL Supply Chain (DSC) in 2011, initially holding the role as Senior Director Transport & Distribution, and later assumed the strategic role of Senior Director Business Development & Solutions Design. In late 2014, Sam was invited to pilot DHL eCommerce Startup in Thailand, which was the pilot template for Asia Pacific. Sam was instrumental in building the newly formed DHL division from ground zero right to the successful market launch in Jan 2016. Sam is also an active contributor to the eCommerce start-up and logistics scene, serving as consultant and supporting incubators for potential start-ups. 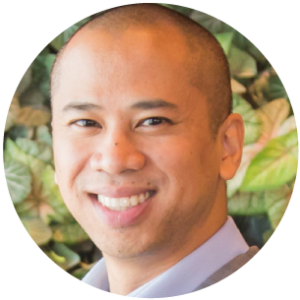 Brandon Tan is the Principal Security Consultant for South East Asia in Forcepoint. Brandon has more than 10 years of experience in performing advanced security solutions across various industries, and supported many organizations in South East Asia region. He joined Forcepoint, the leader in IT Security in combating advanced threats e.g. advanced persistent threats (APT), leading a team of highly skilled consultants in offering recommendations and solutions to strengthen the security posture of various organizations. Brandon brings along with him more than 10 years of IT security consulting experience with in depth technical knowledge on a diverse range of IT security solutions specializing in data, network and content security. Brandon has also been actively involved in some of the largest deployment of security solutions in the region and the investigation of a few high profile breaches and data theft with various organization over the recent years. 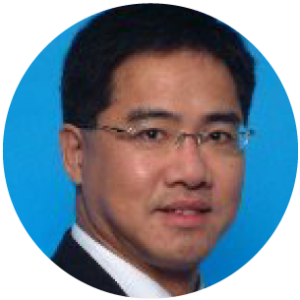 Chatkul Sopanangkul is Forcepoint’s Country Sales Manager for Thailand. He has more than 14 years of experience in IT network and security business at vendor as well as security system integrator and value added distributor environments. Chatkul has proven track record of business development, channel development and management and enterprise value selling in the Thailand market. Prior to joining Forcepoint (earlier known as Raytheon|Websense), Chatkul was spearheading business development at Avnet Technology Solutions where he was responsible for overall company revenue including network security, unified communications and storage business unit. 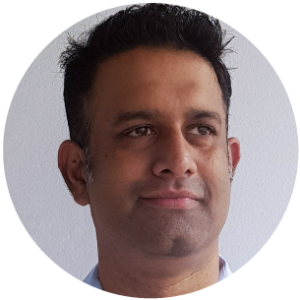 Chatkul started his career at ACA Pacific, a leading security system integration company, where he was responsible for growing channel focus and revenue for the ACA security product. Chatkul holds a master’s degree in business administration from National Institute of Development Administration, Thailand. 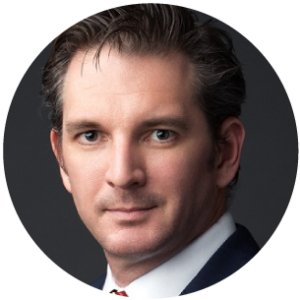 Clay Miller is a Senior Executive Advisor with CIO Academy Asia and works with C-Level and IT Executives throughout the Asia Pacific region. Providing advice and guidance on diverse topics including; digital transformation, business and IT strategies, supply chain systems, IT organizational and HR topics, and enterprise technology enablement. With over 30 years of industry experience, Clay has worked in high tech, semiconductors, and oil & gas, bringing to clients a breadth of experience in various technology and senior executive leadership roles. Clay was most recently an Executive Advisor for IDC for 18 months, and prior to that with Gartner Executive Programs for 3 years. 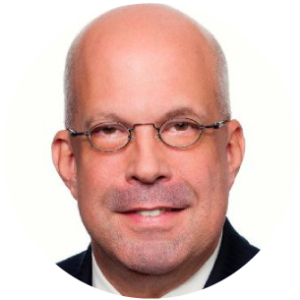 Clay has also worked as a CIO and CHRO, for Kulicke & Soffa, Lattice Semiconductor, Paradigm Geophysical, AMD, Motorola, and IBM. Clay is based in both Thailand and Singapore, and is a trusted partner to C-Level Executives from Global 500 and government organizations. Ramakrishna (Rama) has been involved with the ICT domain for the public sector for more than 30 years. 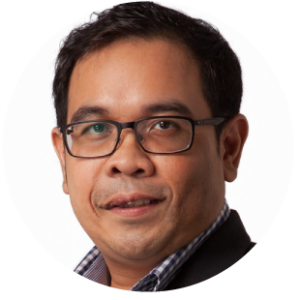 Rama was formerly with Singapore’s Infocomm Development Authority (now IMDA and GovTech), his last held position was Director of IDA’s Industry Development, responsible for national level initiatives to develop the ICT industry ecosystem. He has provided advisory services to develop ICT masterplans for foreign governments in several countries. Glen Francis has over 20 years of technology experience and has served on some executive boards and forums. Glen enjoys creativity and innovation and is well respected by his peers in the industry. 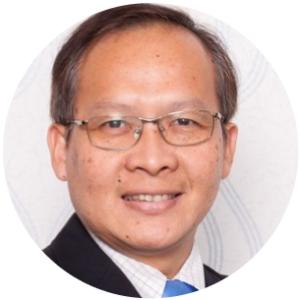 He has the practical experience having served as the group and regional Chief Information Officer for listed companies, on non-profit associations as the Vice President for IT Management Association and President for IDeationEdgeAsia, on institutes of higher learning as their technology board adviser, and as a mentor for several startup companies. Digital Leaders today face unprecedented leadership challenges. They are expected to do more than just ‘keep the lights on’. Digital Leadership consists of a dynamic combination of mindset, behaviours and skills. What are the leadership traits and capabilities required for tech leaders to succeed? Digital Marketing and Internet of Things (IoT) are some of the new buzzwords in the marketplace. How can business win using information & technology to raise its performance? Tech leaders will need to play an important role in deploying digital tools, drive efficiency and increase business gains by establishing programmes which create business value and competitive advantage. In this digital era, we can summon and exchange the world’s knowledge at the click of a button and yet, enterprises have never felt so vulnerable. How do tech leaders adopt a more proactive/offensive attitude to cyber-resilience? How do organisations mitigate cyber-risk and respond to real and emerging threats? How can enterprises continue to make the right amount of investments in cybersecurity tools/platforms and be better at operationalising the cybersecurity ROI? The Westin Grande Sukhumvit, Bangkok is a 5-star hotel conveniently located near to BTS Asok skytrain and MRT Sukhumvit underground stations. Well-positioned for the city’s cultural highlights, guests are never far from the city’s most vibrant shopping, nightlife and business addresses. Highlights from our inaugural reThink Finance-as-a-Service held February 2017 in Singapore.